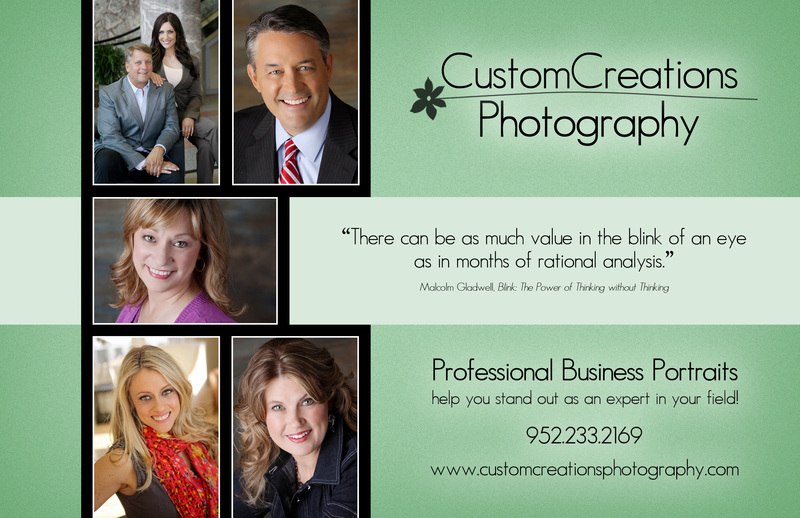 Professional Business Portraits are a critical part of your image and branding. People make a judgement about whether or not they want to work with you within seconds of looking at your website, social media site, and photo. We are offering Professions Business Portrait and Headshots sessions at our St. Paul studio for only $125! This includes a 20 minute session with 2 outfit options. You will receive one digital file (additional files may also be purchased). If you are interested, you may also add on our Professional Makeup Artist, Sarah Elizabeth Artistry, to do hair and makeup for an additional $125. Sarah comes on-site to make you look camera ready (plus it never hurts to have a little pampering!) Men, she can also make you look camera ready for $85! We are also available to come to you, whether for an individual portrait or to photograph your entire team! Ask for a quote today!